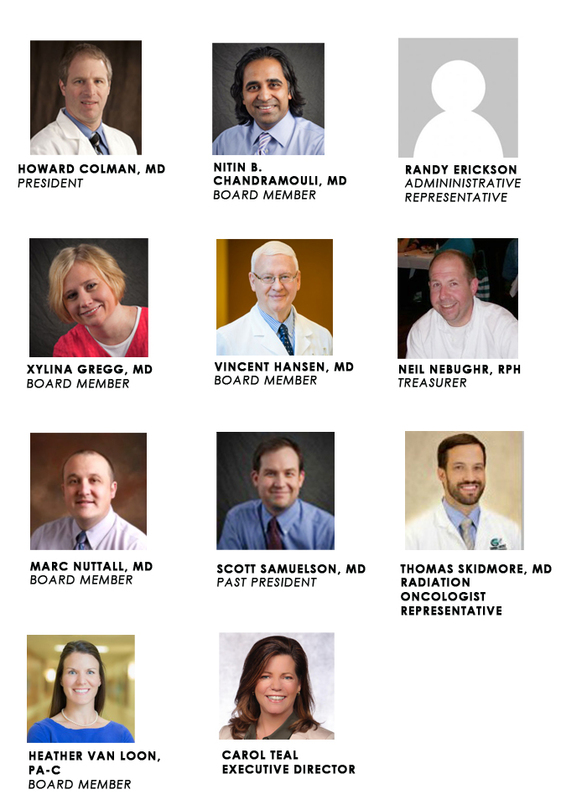 To promote the highest professional standards of oncology practice in the state of Utah. To study, research and exchange information, leading to improvement in the practice of hematology. To support and further oncology education. To monitor and respond to appropriate legislative and regulatory concerns of the membership. Acting as an advocate for Utah cancer patients and their families. Fostering access to quality cancer care for the citizens of Utah. Assisting cancer practitioners in providing the most cost-effective quality care for their patients. Providing an opportunity for oncologists, physicians, and other health professionals to network and exchange information on cancer care. Serving as a resource to other organizations and agencies seeking to interact with the Utah cancer care community. Serving as the advocate for Utah oncology providers to national oncology organizations. Providing up-to-date legislative information on issues directly affecting patient care, including: drug reimbursement and Medicare information. Acting as a resource for physicians and their staff who have questions on reimbursement. Providing educational opportunities for its members.